Scotland’s Alan Clyne is through to the quarter-finals of the Men’s Singles event at the 2018 Commonwealth Games on Australia’s Gold Coast. The eighth seed defeated Aussie Rex Hedrick 11-7, 11-3, 11-7 (48m) to progress to the last eight where he will face Wales’ Joel Makin, seeded 11, on Saturday at 6.45pm, (09.45am UK Time). “I’m feeling very good,” Clyne said shortly after his victory over Hedrick earlier today. “It was a tough match playing against Rex who is a home favourite and has had a really good tournament. “I know Rex quite well but we’ve only played once or twice before. “I knew he’d had a good tournament so far and would be fighting for the match, so it could have been a banana skin. 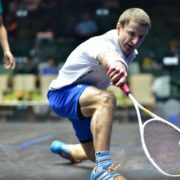 He added: “Four years ago at Glasgow 2014 I had the crowd behind me and now it’s the opposite (when playing Australian’s). Looking ahead to his quarter-final clash with Makin, he said: “It’s going to be a good match. Kevin Moran is into the quarter-finals of the Men’s Singles Classic Plate competition after beating Pakistan’s Farhan Zaman 3-1, (9-11, 11-8, 11-5, 11-8) today. Moran was drawn against Ernest Jombla of Sierra Leone in the last 32 and made quick work of it; progressing to the next round with a 3-0 victory in just 17 minutes. Speaking after the match against Zaman, Moran said: “The plate competition is something I got to the final of at the last Commonwealth Games. Lisa Aitken pulled out the Women’s Singles event after picking up an ankle knock in training but is expected to be fully fit for the Mixed and Women’s Doubles which starts on April 10. 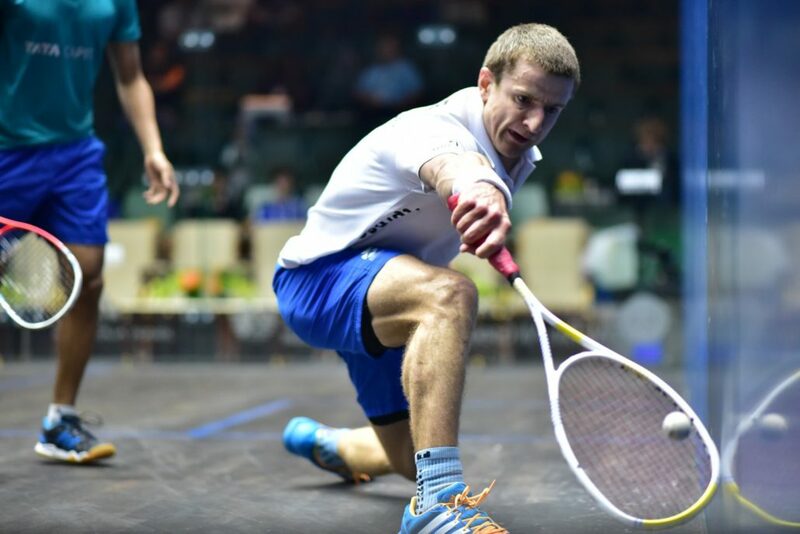 How to follow the squash Down Under, click here.